[I]t’s challenging at times for a Portlander of a certain age and temperament to embrace all the changes the dining boom has wrought upon her city. 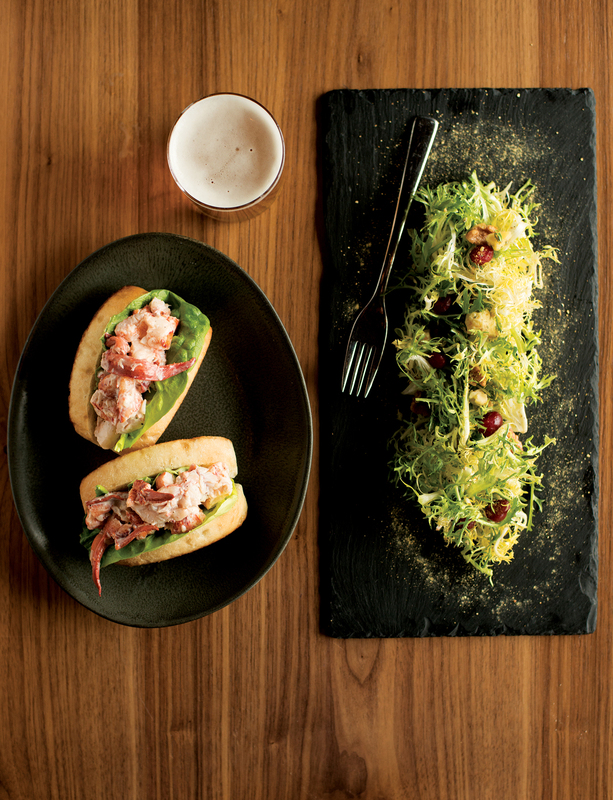 Dive bars and diners have been usurped by artisanal cocktail lounges and tapas bars. Hotels and condos have sprung up, well, everywhere. 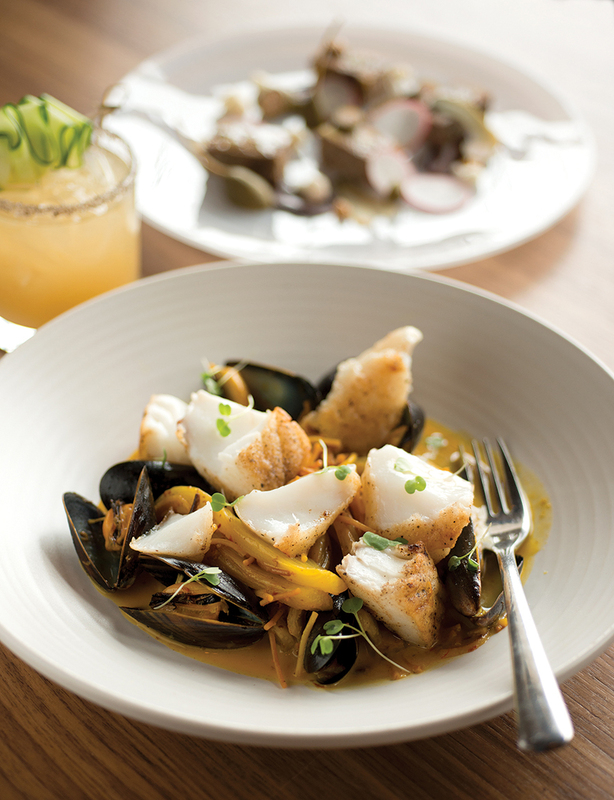 But perhaps the most dizzying — and dazzling — transformation is the conversion of the former Portland Press Herald headquarters into the Press Hotel and its resident restaurant, Union. The building — a 93-year-old, seven-story monolith — occupies an entire block surrounded on all sides by busy streets, yet a calm descends as you enter the elegant dining room, decorated in soothing shades of gray and taupe. Touches of woodsy whimsy — a gnarled mushroom under a bell jar, decorative bundles of birch, an arrangement of gourds — keep things from being too stuffy. 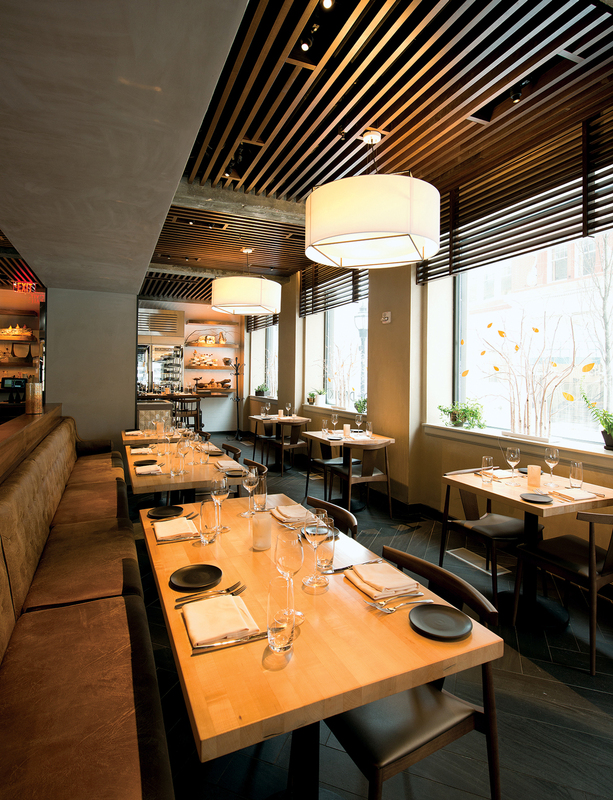 The 18-seat marble bar commands center stage, with the open kitchen tucked behind it. Cream-colored chandeliers the size and shape of snare drums cast soft light in the dining room. Parallel rows of banquettes and deuces run alongside great plate-glass windows, giving the feel of a sleek dining car ready to whisk you away on an adventure. 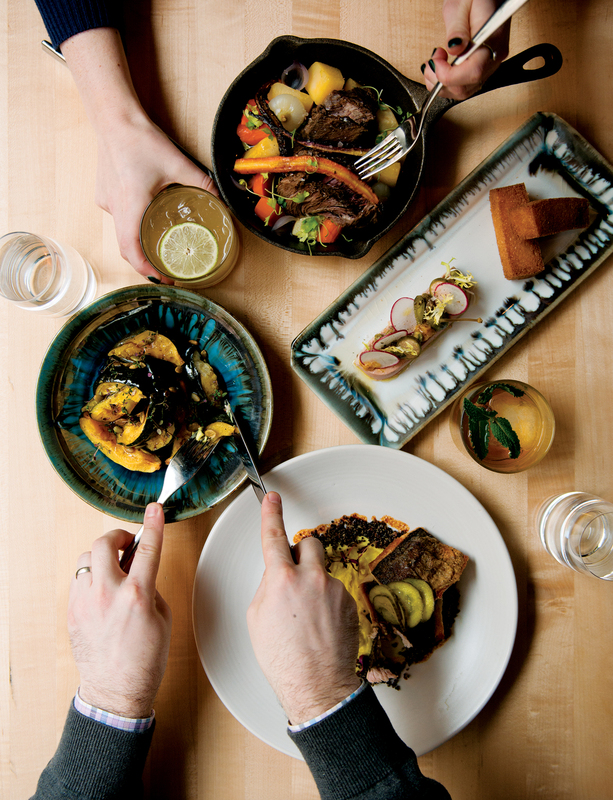 That is the vision of executive chef Josh Berry: to give diners a grand tour of the best Maine has to offer — albeit with an exotic detour or two along the way. Berry relies on 50 area purveyors and spends the majority of his food budget at Portland’s farmers’ markets. The tattoos that run the length of each arm — a deer on one, a lobster on the other — are an expression of his dedication to Maine sourcing. 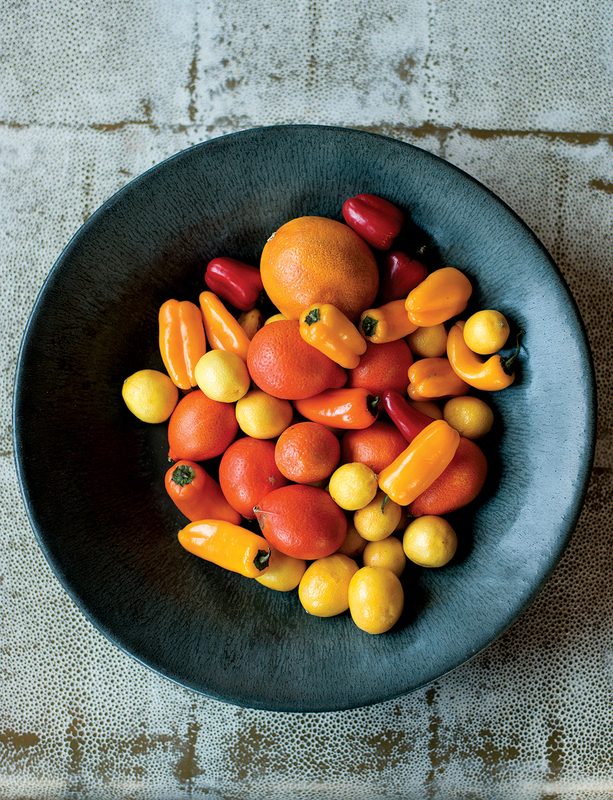 But he dismisses the term “farm to table” as a cliché, preferring to label his cuisine “enhanced local” — seasonal foods elevated by creative cooking methods and unexpected ingredients, like fermented Italian sausage. A native of the Bridgton area, Berry trained at New Hampshire’s Balsams Resort, starting while he was still in high school. 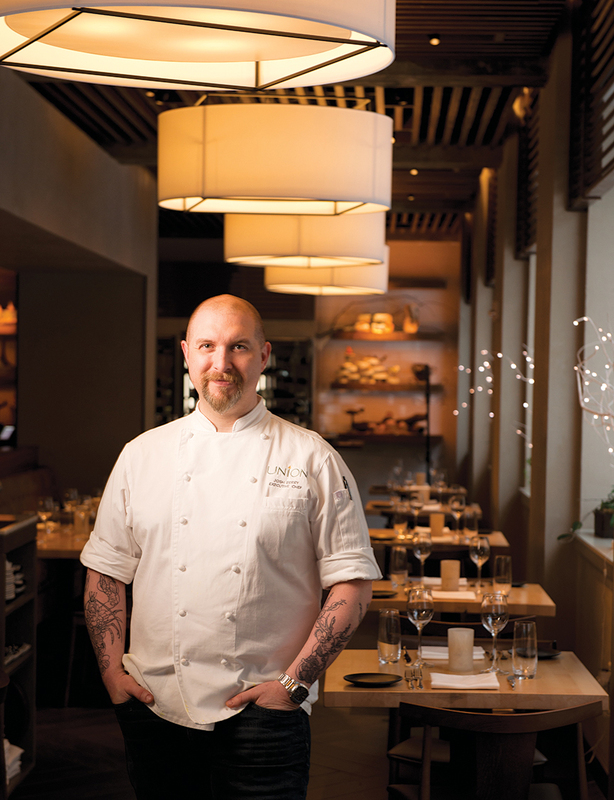 After graduating in 1997, he spent a year in Europe, then happily ran kitchens at various resorts before the offer to take over at Union came in early 2015 (chefs Mark Gaier and Clark Frasier, of Ogunquit’s dearly departed Arrows and elsewhere, had backed out of the new hotel restaurant shortly before its opening). The chance to run a kitchen in Portland was a dream come true. 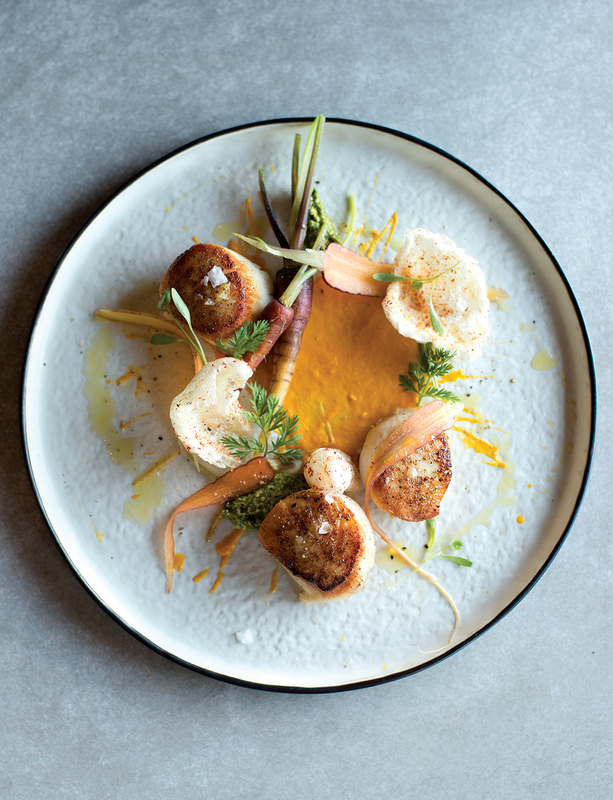 Union opened last spring to rave reviews — and they just keep coming. 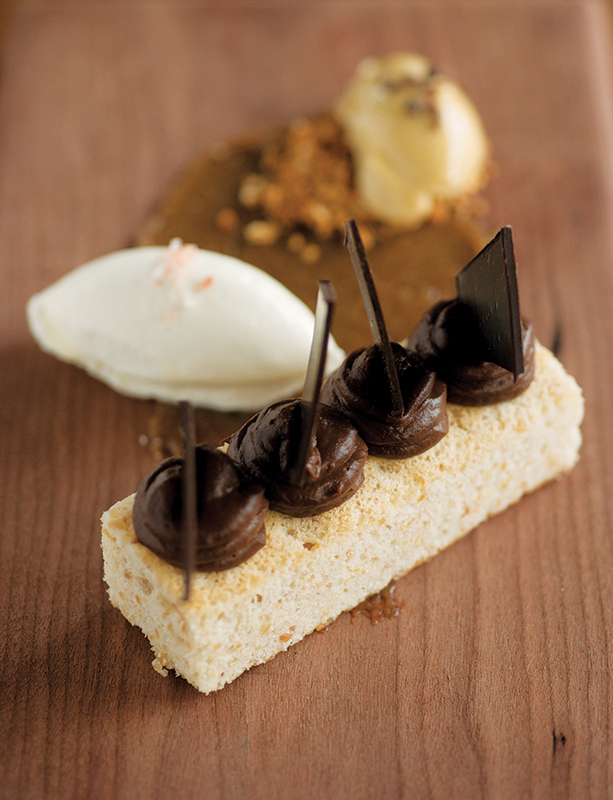 Once ushered to our table, we immediately order the duck pâté to accompany the remainder of our drinks. The plate arrived decorated with braised pistachios and apricot mostarda, and I let the pâté dissolve on my tongue as I perused Berry’s menu, which changes seasonally. Updated treatments of Yankee standards include complimentary molasses-sweet brown bread, a truffle beef pot roast, an autumn squash salad with maple-sesame vinaigrette, and Indian pudding with dried fruit chutney and orange meringue — homage, Berry says, to the city’s heritage and culinary staples. 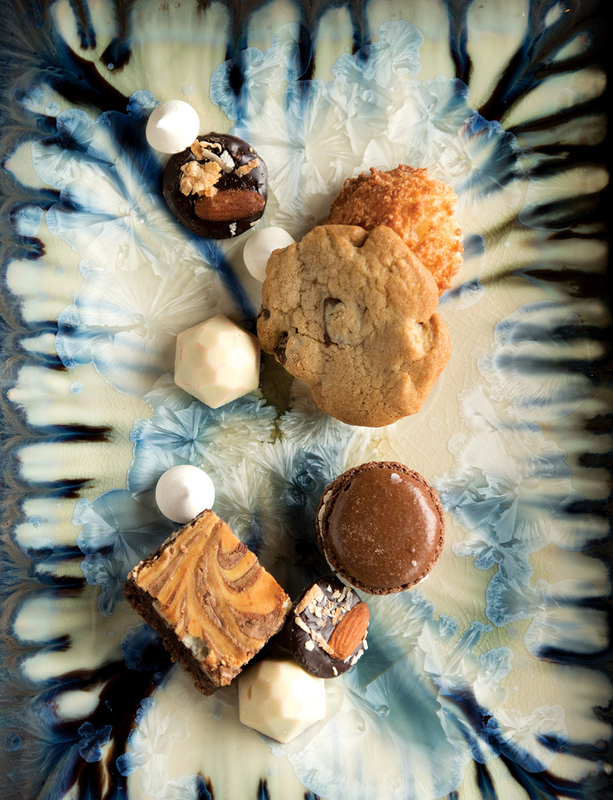 A great way to sample Berry’s flights of fancy is to indulge in one of his three- or five-course tasting menus. The selections change nightly and are not offered on the main menu. 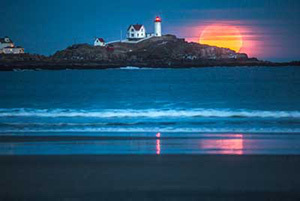 Your server will clue you in to the major components of each, but leave enough unsaid that surprises await. Since my husband and I freely graze off each other’s plates, we opted for one tasting menu and an entrée. My tasting menu began with slices of smoked Muscovy duck breast drizzled with chestnut butter. An accompanying tangle of wasabi sprouts popped like tiny hot-cool firecrackers in my mouth, countering the smoky-rich meat. As we savored this round two of duck, the staff swept crisply around the dining room, as if breezing off to editorial with proofs in hand. Dishes were delivered and retrieved with understated efficiency. Both of our mains were showstoppers. My beef tenderloin was served with lion’s mane mushrooms and fingerling potatoes under a truffle cream, all fashioned into a sort of log across the plate, with the two fork-tender beef slices capping each end, an earthy-savory revelation, like a walk in a dark woods. 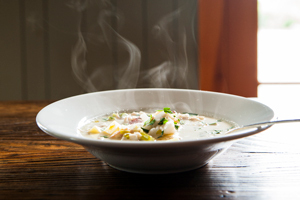 By contrast, the roasted hunk of cod was as bright and light as a winter morning. Served with mussels and a twirl of pasta, the whole affair perched on a succulent slab of roasted fennel. The tie that binds the dish, however, is ’nduja, a fermented sausage from Italy. We could find no evidence of it until our server explained that ’nduja is a paste that dissolves in cooking, infusing a smoky heat into everything it contacts. When my dessert, a zingy lemon tart, arrived, I leaned back in my banquette and looked out at the streetlamps twinkling on Exchange Street. Sometimes, I thought, change is good. 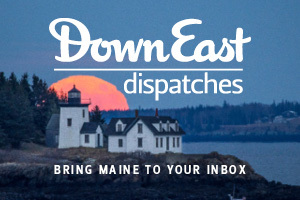 Get the best of Maine food and dining in our Down East Taste email (every two weeks).